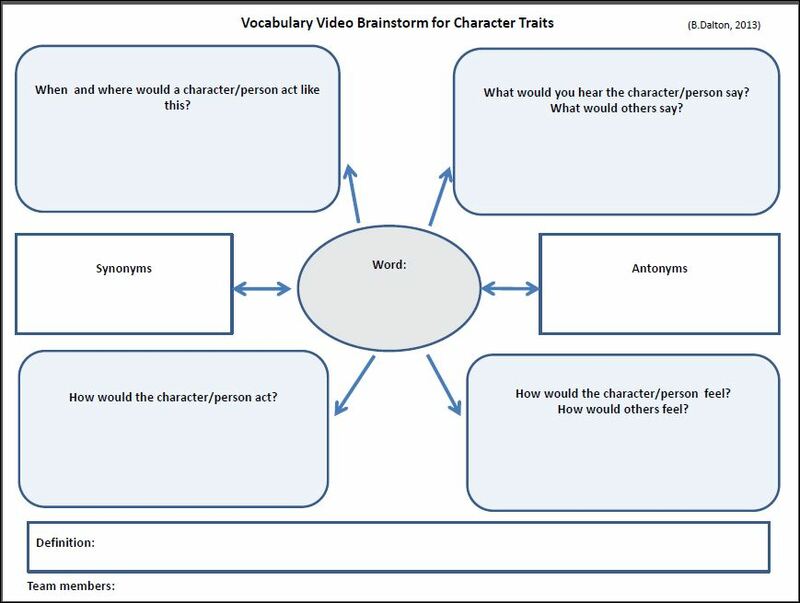 Recently, some folks asked for a copy of the Vocabulary Video word webs I use to guide students in researching the meaning of their word and developing ideas for their Vocabulary Video skit. I’ve posted two word web maps below, one that can be used with any word and one that is customized for working on character attributes. I’ve also provided an Assessment Rubric and a Guide Sheet that you can adapt to fit your context. 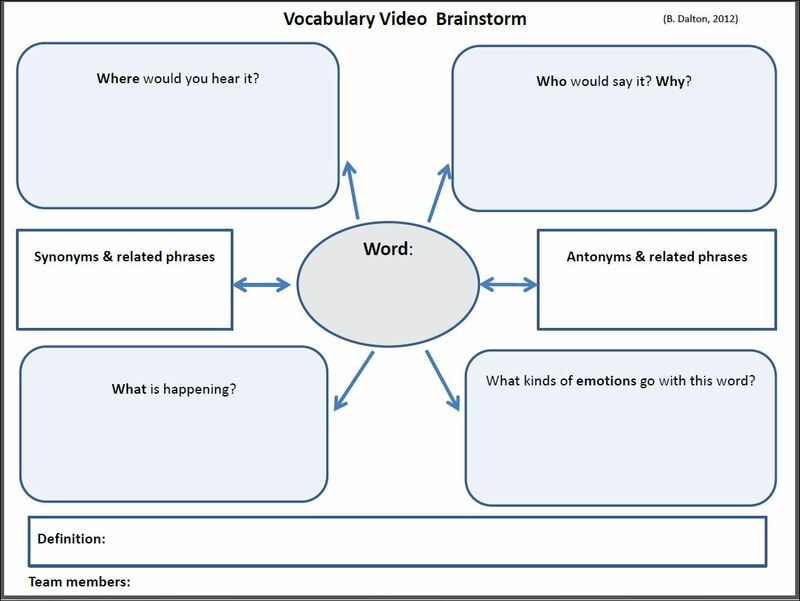 To learn more about Vocabulary Videos and view some examples, see my Literacy Beat post on VocabVid Stories. Have fun exploring word meanings through student-created videos!